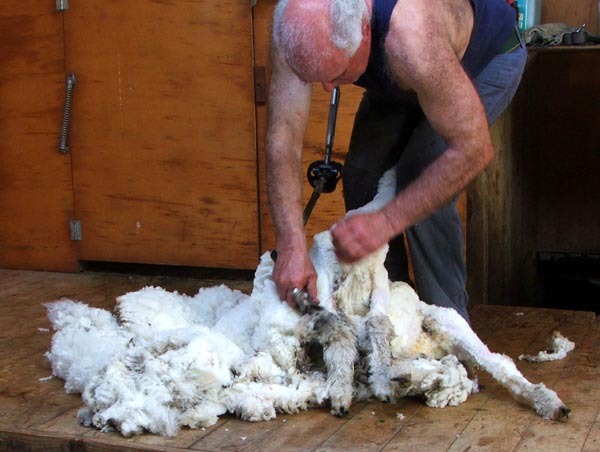 We take all our sheep down to a friend's shearing shed, two or three trips in the trailer towed by the car. 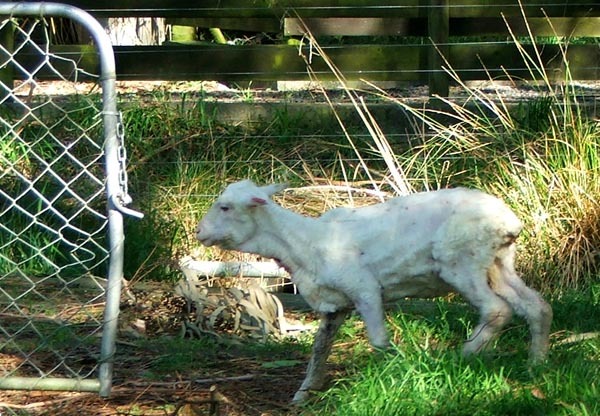 Only the new lambs get left behind, and their mothers are only away for half a day. Charles the ram doesn't get any special treatment - mind you, he's a good ram, and has never charged a human or caused any structural damage to a fence. His curly horns have been clipped so he fits through the yards and doesn't get stuck. Q. So, Haru, this is the big day. Are you nervous? Q. And have 'they' explained exactly what will happen? Q. 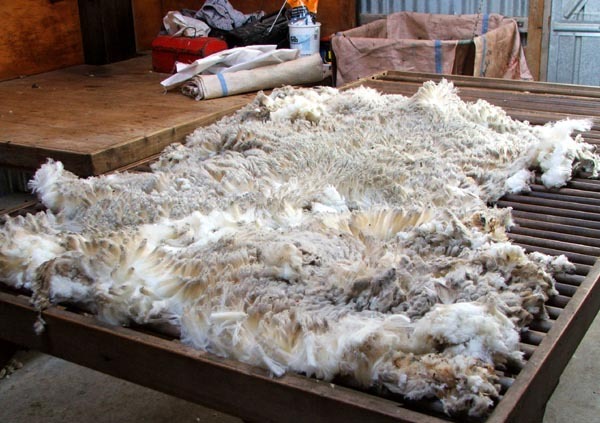 Are you hoping to produce a really fine fleece? Q. You do understand how important microns are? Q. And you know what happens to naughty sheep who kick Mike the Shearer? So Haru is bundled into the trailer with her friends and relations, driven down the road, and loaded into the shearing yards. At first there's a lot of standing around waiting, with gates opening and shutting, and lots of odd noises coming from 'in there'. Then - the big moment - grabbed by Mike the shearer, flopped onto her back and whizzzzzzz... The wool pours off. Easy as ABC - bundled back into the cool air, fleece fluffed up on the table, before she can blink. A greater number of sheep can fit into the trailer for the return journey. 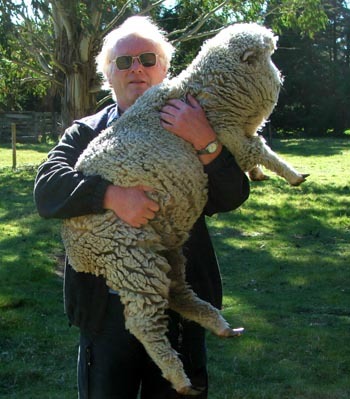 It's amazing how much more space sheep with fully grown fleeces take up! Haru looks really skinny and small, and very white - unfortunately that colour won't last. Mike the shearer has done a good, clean job - there are no little nicks or cuts. Haru's face is very different without those woolly cheeks. If she didn't hang around at the back of the flock to say hello - well, actually to say 'baaaaa' - I wouldn't recognise her. She bounces out of the trailer and does a few hop-skip-and-jumps into the air. Yippee! It must feel great in the spring sunshine to be so much lighter. All the ewes plods happily down to the back paddock and some nice fresh grass. Q. So, Haru, you've been shorn for the very first time. How was it for you?